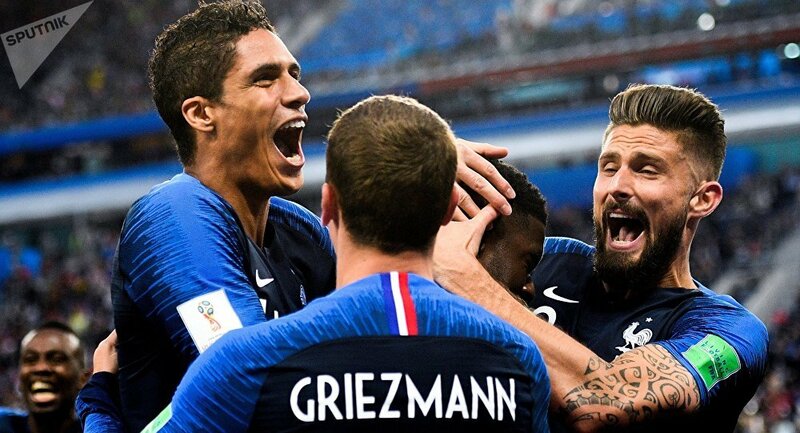 France beat neighbors Belgium 1-0 in St. Petersburg on Tuesday to reach the FIFA World Cup final, where they will face either Croatia or England. As France celebrates their victory over Belgium in FIFA World Cup semi-finals, many took to Twitter to share their feelings and, of course, some memes. Double standard refereeing in a nutshell! This worldcup is rigged to the core. ​People also made fun of the fact that France's record goalscorer Thierry Henry was this time the Belgian team's second assistant coach to manager Roberto Martinez. Are you happy with Belgium's defeat? Meanwhile, France defender Samuel Umtiti was named the man of the match as he helped his team win scoring in the 51st minute. The 2018 FIFA World Cup kicked off on June 14 and will continue until July 15. The final set to be played at Moscow's Luzhniki Stadium.